Physik Instrumente has introduced the new LPS-24 series. At 24 × 33 × 20 mm³, these new miniature positioning stages provide a travel range of 15 mm with nanometer-precision resolution. The stages fulfil requirements for the positioning of optical or mechanical components or for the adjustment and manipulation of samples in application environments with a confined space. For the positioning stages, the supplier uses NEXACT piezo stepping drives. These drives combine the high-precision resolution and stiffness, typical for piezo actuators, with long travel ranges. For position measurement, a linear encoder with 150 nm resolution is integrated into the small-sized stages. 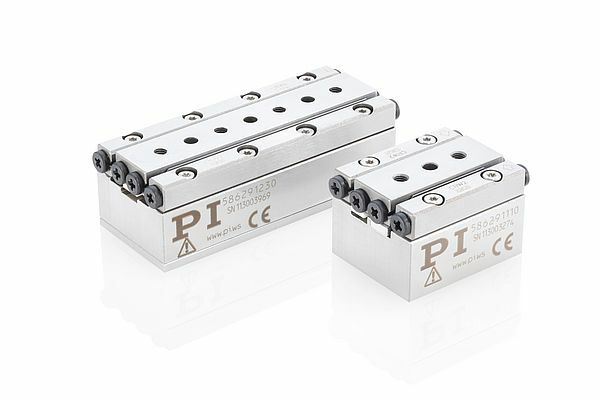 With the PIOne linear encoder, a 2 nanometer resolution is attained when combined with a stage length of 63 mm instead of 33 mm.